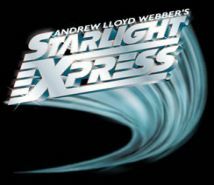 Starlight Express is a musical written by Andrew Lloyd Webber. The story follows a child's dream in which his toy train set comes to life. Famously, the actors of the musical perform wearing roller skates.